Camp at Chickahominy Riverfront Park then ride on the Trail! This trip starts in Chickahominy Riverfront Park which has a little bit of everything. The Chickahominy Riverfront Park offers various campsites, fishing, swimming, kayaking, and a driving range. The park even has a store with concessions for snacks and supplies! 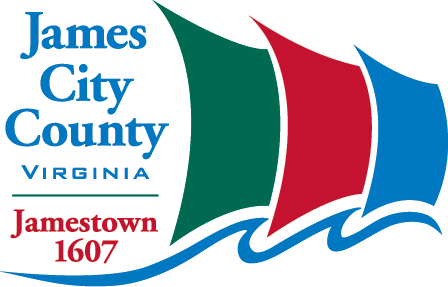 To reserve a campsite or check out pricing, visit their website (https://www.jamescitycountyva.gov/Facilities/Facility/Details/Chickahominy-Riverfront-Park-2). Once you’ve stocked up on water and snacks head east on the trail towards Charles City County. If you want to extend your ride, head over to Piney Grove at Southall’s Plantation, about 5 miles north of the trail. Or ride 1.5 miles south of the trail to find Fort Pocahontas at Wilson’s Wharf, a Civil War fortification. Come in June for a live reenactment or visit their website (http://www.fortpocahontas.org/) to schedule a tour. Around mile marker 16, you will cross paths with Sherwood Forest Plantation, home of former President John Tyler. In two miles you’ll come across North Bend Plantation where nearly 30,000 federal troops camped during the Civil War. Continue west to the Charles City Courthouse Grounds which has a lot of history, it is the oldest courthouse still in continuous use in the US! Across the street you will find Cul’s Courthouse Grille which has great sandwiches and salads. About 2.5 miles from Cul’s Courthouse Grille, Lawrence Lewis Jr. Park stands about 2 miles south of the trail. This park has amenities for fishing and bird watching. Once you’re back on the trail, head west to Indian FIelds Tavern and refuel with a sandwich and a drink! Once you’ve finish head east back to your campsite at Chickahominy Riverfront Park. This 26 mile ride features rural views of Henrico and beautiful river front views of Richmond. Four Mile Creek Trailhead is a great spot to park. Hop on the trail and head west on the trail towards Richmond. Your first attraction will be Dorey Park which features a pond, walking trails, and an 18-hole disk golf course! This is .4 miles from the Capital Trail. Next you will pass the Varina Library which has restrooms and a water fountain. Continue east on the trail and you’ll pass restaurants like The Boathouse and Conch Republic overlooking the river. Once you arrive at the flood wall you’ve officially completed the trail portion of your trip and you can ride along Richmond’s Riverfront and Canal Walk and enter Downtown Richmond. You’ll turn around on T. Tyler Potterfield Memorial Bridge, named after the deceased city planner who oversaw the project, connecting Brown’s Island to Manchester. 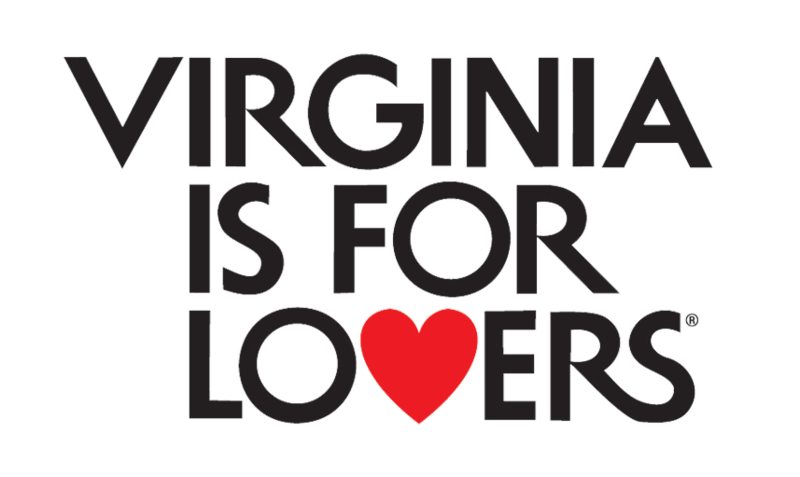 Richmond Magazine stated that the bridge is “seen as a symbolic link joining the city’s north and south sides.” The bridge will give you panoramic views of the James River. Stay and enjoy the riverfront views then head back to Four Mile Creek Trailhead. Park in the Four Mile Creek Trailhead parking lot and head west on the Varina Park phase of the trail. Almost instantly you will see New Market Heights – a civil war battleground. As you continue along the trail, 2 miles south of mile marker 38.5 is Deep Bottom Park where you can pier fish and picnic. 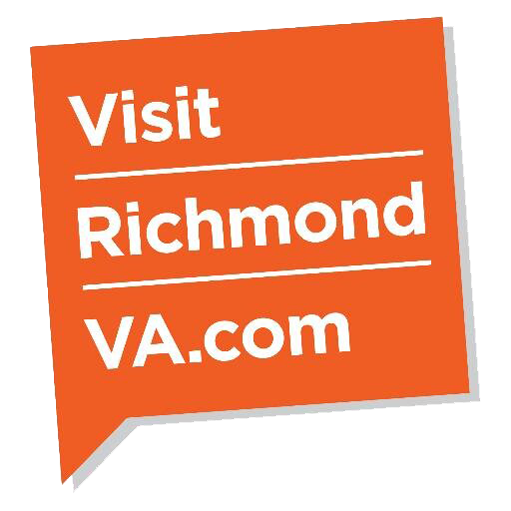 The next attraction you will come to is another Civil War location, Richmond National Battlefield Park, and it is located just 3 miles north of mile marker 35.5. Virginia’s first planation, Shirley Plantation founded in 1613, is located about 2.5 miles south of mile marker 30. Tours of the plantation are available but see the website for detailed hours. Harrison Park, the turnaround point, is located north of mile marker 27 and features a bike/jogging trail, two tennis courts, a football/soccer field, a basketball court, a playground, and a tot lot. Enjoy a picnic and the park amenities and then head south to get back on the trail and return to Four Mile Creek. Fuel up for your trip with a bite to eat from Poe’s Pub, Millie’s Diner, or a coffee from Starbucks. For the first leg of the journey, enjoy scenic views of the James River and Rockett’s Landing as you bike along the Richmond Riverfront Phase of the trail. Visit The Kickstand, which you’ll see just minutes into your trip, for any biking needs or simply to say hi as you pass by. As you enter the Varina Park phase one of the first attractions you will come to is the Clarke-Palmore house museum. If you want a tour, make sure you call and make reservations! You can stop just past mile marker 48 for snacks and refreshments at 7-11 if need be. Continuing along the trail, you will see Ronnie’s BBQ, a must-try lunch spot, just west of mile marker 45. Slightly east of mile marker 42 you will arrive at Dorey Park and Recreation Center. At the park enjoy an 18-hole disc golf course, playground for the kids, walking trail, pond, restroom, and wide-open space! To finish the first half of your trip, ride along the trail until you arrive at Four Mile Creek Park. Before turning around to bike a round-trip, visit the battleground of New Market Heights or enjoy some celebratory ice cream from Dairy Queen.